Lee Martin is writing on the Svbtle network. Are you coming from twt.fm? I’ve shut down the site and provided you with a more practical alternative below. The TWT.FM brand will live on as an entirely different idea. Stay tuned. In February of 2009, I created a simple little app that allowed you to share music on Twitter called twt.fm. Once logged in, you simply provided a search query for a particular song and the app generated a basic page which was automatically linked to via a short url (e.g. twt.fm/123) within a newly drafted tweet. At the time it worked nicely, but it was more or less a bandaid for Twitter’s non-existent rich media strategy. Hell, at that time they didn’t even seem that worried about photos and there seemed to be a shortening service for everything. However, things have changed and Twitter has made it much easier to include music in your tweets by simply linking to a few 3rd party services. I kept twt.fm running as a sort of museum exhibit of what Twitter once was and held out on shutting it down until they added SoundCloud support. Well, they added that a few weeks ago so join me in wishing twt.fm goodbye for now. If you were a user, thanks for supporting the product! 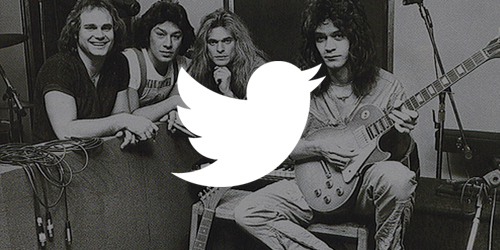 Read on for more info on how to share music on Twitter today. Tweeting music (and other rich media) these days is damn easy. Simply include a song link to a supported service in your tweet and Twitter will render the appropriate player in the expanded tweet media pane. Van Halen “Unchained” Live in Oakland 1981 youtu.be/7P1d8BVvY-I Change! And Twitter will render the player accordingly on Twitter.com. It’s dead simple and support for expanded tweets is even finding its way onto Twitter’s Android and iOS apps. I really hope they add Spotify support at some point using the play button. The main reason I created twt.fm in the first place was to get more of the artists I worked for on Twitter. I figured most of them didn’t have anything to say (no offense) so tweeting some music was a nice alternative. Check out Twitter’s guide on musicians to see the variety of ways artists are using the service today.